There’s been a lot of buzz lately about the power of Facebook advertising. Marketers everywhere are investing marketing budgets in this channel because of its laser-focused targeting capabilities and potential reach. According to a HubSpot study, there’s an estimated 1.39 billion active users on Facebook a month and they’re spending 40 minutes a day on the social media platform. It’s no wonder that 30 million businesses have Facebook fan pages. But, is this advertising platform right for the senior care recruitment? Your potential patients are older, so it’s natural to think this channel wouldn’t make sense. But, after taking a deeper look, senior care marketers will see that there’s an untapped opportunity here. It would be foolish for senior care marketers to overlook Facebook advertising. Let’s explore the reasons why. Both Boomers and Generation X impact the elder care decision, and those audiences are on Facebook in droves. They’re also more likely to interact with brands than their younger counterparts. According to a study by SproutSocial, 60% of Boomers look for a brand on social media and 7 in 10 Gen Xers will purchase from a brand they follow. The study found that Facebook was the most popular social media platform of choice for both of these generations. So, what does this mean for the senior care recruitment? Senior care marketers can target these generations, who are likely to be adult children of elderly parents, with ads that introduce their facilities as elder care options. However, before you launch any ads, it’s important to consider how your audience uses Facebook. Many of us use Facebook to catch up on what’s going on with our friends or to take a much-needed mental escape. Bombarding adult children with pushy ads that require them to give an email or to “act now” is not the way to do it. Instead, gently introduce yourself to people through engagement campaigns that generate more awareness for your brand. This might mean creating campaigns promoting your facility’s blog articles about the search process to find the right home for parents. Or, it could mean highlighting a video that showcases your services or facility. The point is to not come across as too “salesy” too early. When using Facebook advertising, it’s important to think of your marketing and sales funnel. Some people will see your ads and become aware of your senior care facility for the first time. Develop an ad strategy that meets your audience where they are in the customer journey. If you’re following the inbound marketing approach, you may have already created useful and informative resources to pull from, like blog posts or eBooks. Advertise these resources to help adult children through this stressful and important decision. This helpful approach can lead a positive first impression and can be the start of a trust building process with this person. As we’ve mentioned before, Facebook reaches billions of people everyday; a diverse audience. Facebook is able to gather a lot of useful information about people’s demographics, behaviors and interests. This is powerful in the hands of a skilled senior care advertiser. 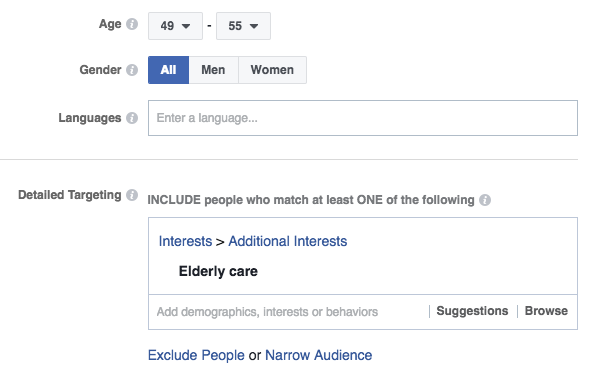 If you’ve gathered data about your existing senior care customers, you’ll have a good starting point for ad targeting. Make sure that you document the attributes that define your ideal customers to use it later for ad targeting. Senior care marketers can then target based on demographic information like age, income, gender, net worth, job titles, languages, geographical information, and more. You can also layer behaviors and interests on top of basic demographic information. Targeting based on interests gives advertisers a better chance of delivering ads to people who want to see them. For example, you can target a woman aged 49-55 with an interest in elderly care. You might show that person an ad introducing your senior care facility to her. You could target a family caregiver that lives 10 miles away from your facility or a professional caregiver who works at a competing senior living facility. The targeting possibilities are endless with Facebook advertising. As marketers, we know that we can apply what we know about our patients to sell more effectively to others. Facebook advertising allows us to do that with custom audiences. Advertisers can create a custom audience by importing a contact list into Facebook that will allow them to reach those people directly. 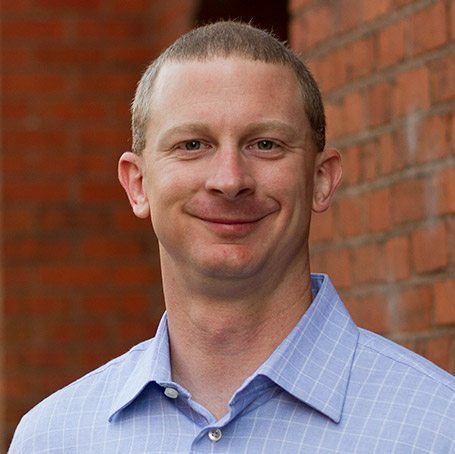 This puts your senior care brand front and center to existing customers. Use a custom audience ad to nurture relationships with your customers. Show what residents of your facilities are enjoying or spotlight key caregivers. The point is to build relationships to a point where they become evangelists and will gladly advocate for you. You may also want to use custom audiences for advertising complementary services or to spread the word about a referral bonus program. Lookalike audiences are audiences created based on the characteristics of a source audience (like your customers). This is an excellent way to expand the reach of your ads while still targeting qualified prospects. Creating this audience is easy. There are two ways to create a lookalike audience. Let’s review them quickly. The first is to simply to use a custom audience of your current patients’ or prospects’ email addresses. Facebook will scan your custom audience and pick up on common demographics and interests of those people to reach other people like them. Your second option is to use data from your senior living website. You’ll need to install tracking to allow Facebook to gather enough information about website visitors to make this worthwhile. 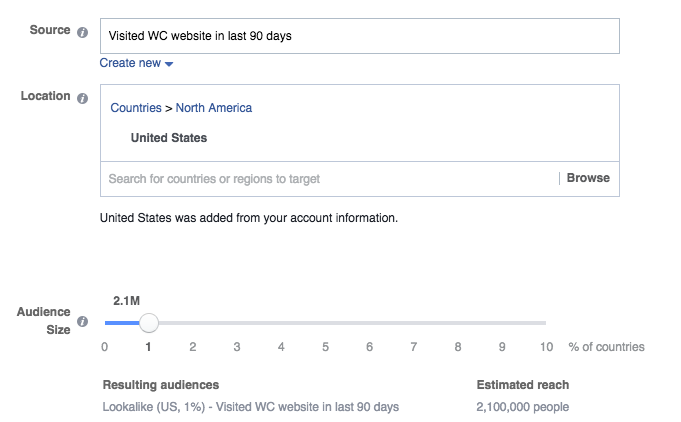 Once Facebook has enough data, you can pinpoint visitors who have submitted a form or have viewed specific website pages. Facebook will look at that information and find other people with similar qualities. While there is no specific formula for success, Facebook advertising presents an abundance of opportunity for senior care marketers. With the right strategy and message, senior care marketers can see their advertising dollars generate leads and customers at lower costs than traditional media. Setting up your first Facebook ad campaigns can be overwhelming and you can make costly mistakes. Thankfully, you don’t have to do it alone. Agencies like ours specialize in creating Facebook ad campaigns for senior care facilities. Contact us today to learn how we might be able to help you with recruitment at your senior care facility.